Although it has been 9 years since a hurricane has made landfall in the state, hurricane season brings a degree of dread to Floridians every year. We all know that when June arrives, we should be taking stock and preparing for the potential coming storms. This year however, experts in emergency management are concerned that Florida residents have become complacent in planning for hurricane season. The National Hurricane Survival Initiative, a collection of experts in hurricane preparedness, have identified the top 10 most common mistakes that residents make and offer solutions to help better protect you, your family, and your assets in the path of a hurricane. Know the threat – Stay up to date on developing storms / threats in the Atlantic and Gulf of Mexico, as well as weather alerts. Evacuate – Keep in mind that after a storm you may not be able to leave due to flooding, fallen trees, washed out roads, etc. Be prepared to evacuate your home when necessary, even though you may feel most safe and secure there. Leave in time – Many people wait until the path of the hurricane is determined with certainty. Trying to evacuate at the last minute will only add to congestion on the roadways. Instead, consider evacuating to a local Emergency Shelter that is closest to you. Protect your home – Maintaining your home can greatly reduce the damage your property may sustain during a hurricane, as well as save you time and money after a storm. You can do this by ensuring your roof is in good condition, eliminating large tree limbs that hang over your house, and clearing trash and debris from your yard. Organize important documents – Before a hurricane hits make sure you know where important documents are such as birth certificates, identification cards, insurance policies, etc. Keep all of this information together in a safe place that will remain protected and dry. Inventory valuables – If you suffer damage to your property from a hurricane you will quickly realize how difficult it is to account for your valuables. Instead of trying to remember, make a list of all your valuables and keep the list with your other important documents. Experts also recommend taking pictures or even making a video of the contents in your home. The National Association of Insurance Commissioners also has an app for just that purpose! Search ‘NAIC’ either on iTunes or the Android market stores to download this useful tool to organize your valuables room by room. This can assist with taking the guess work out of estimating the value of the property you have lost. Have adequate insurance – Keep in mind that not all insurance policies are effective immediately. Flood insurance for example, can have a waiting period of 30 days before it is active. Also, if you aren’t a homeowner you can still protect your property with Renter’s Insurance. Have ample supplies – Plan ahead for after the storm. Stock up on things like water, canned food, batteries, and prescription medications for at least 3 days minimum. In reality, it could take several days for emergency responders to get to your area, so the more supplies you have stored the better off you’ll be. Know safety protocol – Be familiar with good safety practices to get you through conditions left behind by a hurricane. For example: don’t try to drive or walk through standing water, keep generators in well ventilated areas to avoid carbon monoxide poisoning, and use battery operated lights rather than candles to eliminate risk of fire. Provide for your pets – Don’t forget about your furry family members! Contact your local Emergency Shelters to find one that accepts animals. Also, be sure to add your pet’s vet records to your other important documents. Animals need food and water too, so don’t forget to add enough to your supply for your pets as well. The National Oceanic and Atmospheric Administration, or NOAA, has predicted that there is a 70% likelihood of 10-16 named storms in the Atlantic during the 2016 hurricane season. No matter what, be prepared! 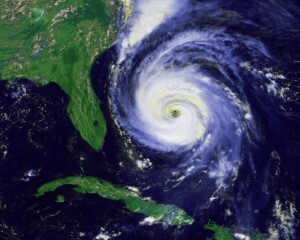 Please visit www.hurricanesafety.org for more tips on how to prepare for and survive a hurricane. And, as always, the Morse Insurance Agency is here to help you find the best insurance coverage to protect you) and your assets. This entry was posted in flood insurance, Florida renters insurance, hurricane preparedness. Bookmark the permalink.